Schools out for summer, the backpacks are packed, and the hot sunny days are chock full of activity. Summer holidays are here and we have made the buttons to prove it. Summer is one of our busiest seasons. 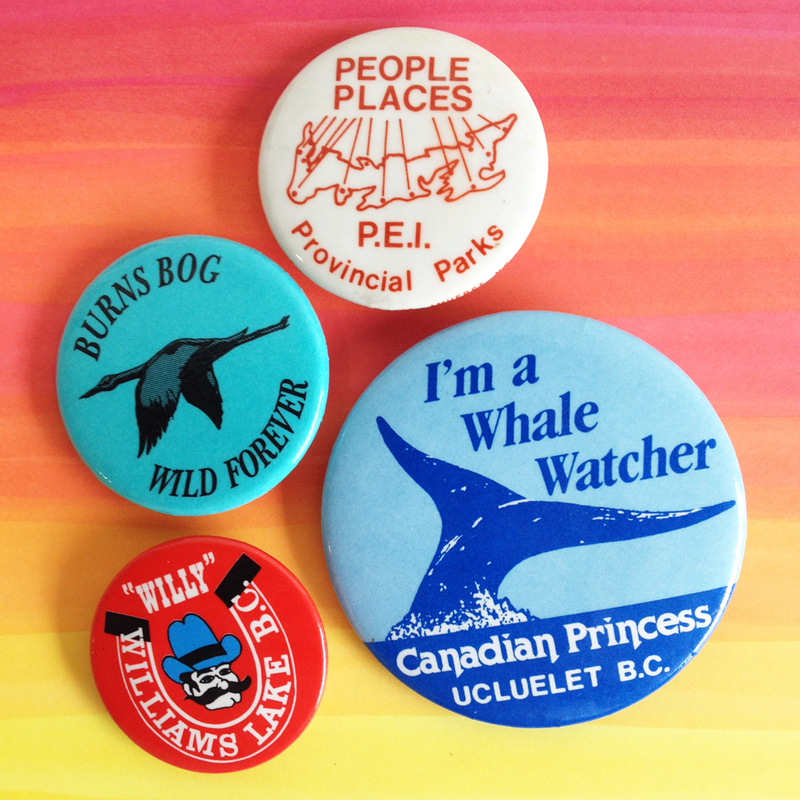 We are staying active producing customized buttons for Canada’s most popular provincial parks and destination locations from coast to coast and everywhere in between. If you happen to find yourself pitching a tent for a couple nights in Ontario’s Algonquin Provincial Park OR you made a reservation to hike the West Coast Trail in the Pacific Rim National Park, don’t be shy about tracking down the park warden or park administrators, you can bet they have a keepsake button with your name on it.